The Lloyd’s insurer and reinsurer made an operating profit of $198.5m (£151m) in the first half of 2016, up 180% on the $70.9m it made in the same period last year. The profit jump was caused by a surge in investment return to $180.8m in the first half of 2016, from just $7.6m in the first half of 2015. Investment income fell sharply in the first half of last year because of the fear of rising US interest rates, which cut the value of the longer-dated bonds government Brit had added to its portfolio. But in the first half of this year, falling US government bond yields boosted the value of Brit’s bonds. Brit’s underwriting result fared less well. The insurer’s combined operating ratio (COR) increased by 5.9 percentage points to 95.6% (H1 2015: 90.6%), including a four-point hit from “major losses”. 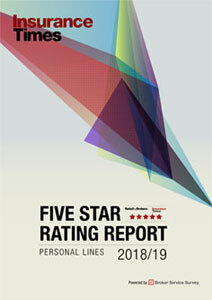 Despite this, Brit chief executive mark Cloutier hailed the underwriting performance as “a solid result in today’s challenging environment”, which he said was characterised by “pressure on pricing and an increasingly complex marketplace in terms of capacity, distribution and regulation”. 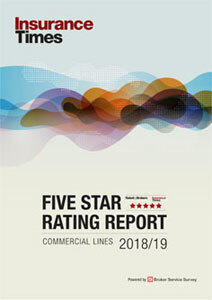 Brit group deputy chief executive Matthew Wilson commented: “Market conditions have, as expected, remained difficult during the first half of 2016, with the industry experiencing continued pressure on premium rates.